Having a meal. 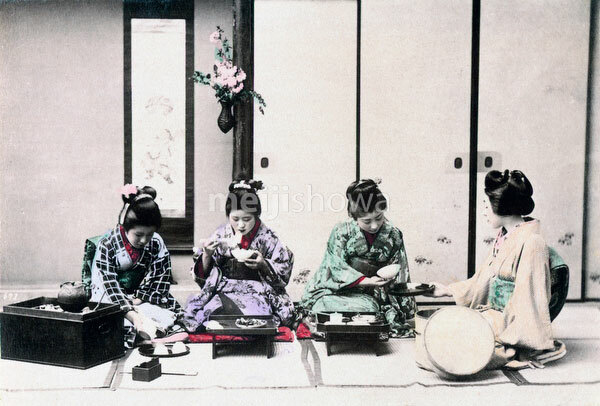 Four young women in kimono are seated on the floor. One woman is holding out a tray for the woman handing her a bowl. Another one is eating with chopsticks, while the one on the left is pouring tea.